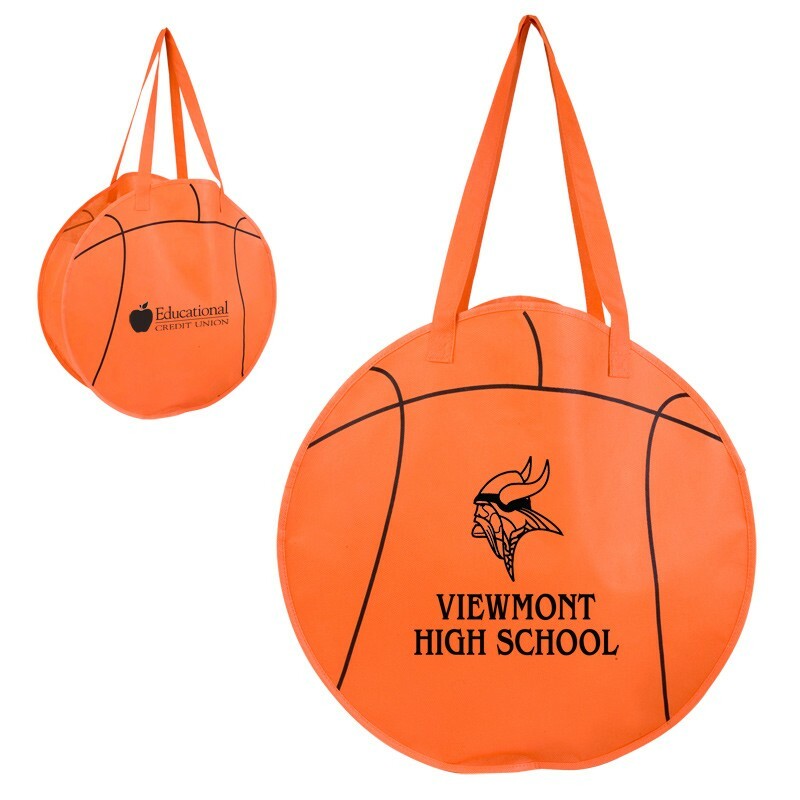 These custom screen printed basketball totes are the perfect promotional product for corporate outings, school spirit weeks, pep rallies, and fundraisers. Their low cost and high quality are the perfect formula for you to add big bucks to your programs. Price includes a one color, one location imprint. Feel free to contact us for pricing on additional colors and locations of printing.